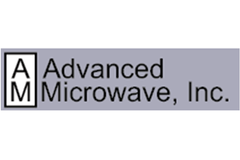 Advanced Microwave - RFMW UK, Ltd.
Advanced Microwave supply broadband Mixers, Amplifiers, Detectors, DLVA’s. Mixers 2-44GHz Advanced Microwave Discrete designs with ultra wideband matching structures to quad schottky diodes for low conversion loss and reduced spurious. Also offered as Mixer pre-amps with integrated gain blocks and Image reject Mixers. Package styles of coaxial or miniature drop in housings are available. 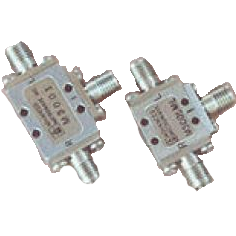 Amplifiers to 50GHz using discrete chip and wire designs for small coaxial or drop in solutions. Multiple octaves are available. Detectors and Limiters to 40GHz . Advanced Microwave Detector Log Video Amplifiers DLVAs – offer wide dynamic range and broad bandwidth allowing detection of phase and amplitude over wide range by analogue conversion to log function. Matching of the slope profiles allows uniform mV /dBm registration.Typical detection technology is Germanium Tunnel diode for fast response and low drift.Sensitivity can be optimised by use of low noise amplifier stage.